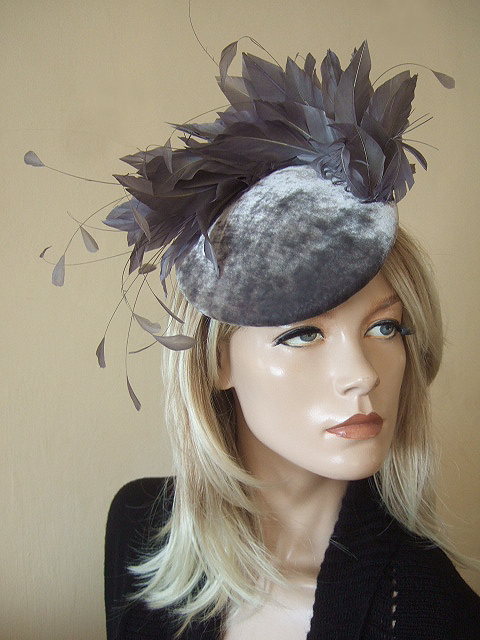 This is an amazing soft silk velvet large button headpiece in Gunmetal Grey / Dark Grey, with a wave of trimmed goose and stripped coque swirling around the outer. A versatile headpiece that works great with all tones of Greys, Silvers, Blacks, Pinks and many other colour. Fits all head sizes.